I am back with my usual Wishing Wednesday post. This week I thought I'd share something from Marc Jacobs that I spotted online recently. Their new Beauty Kiss Pop Colour Sticks look so cute! They were so clever with their crayon design. This type of packaging really grabs my attention and makes me want every single colour. 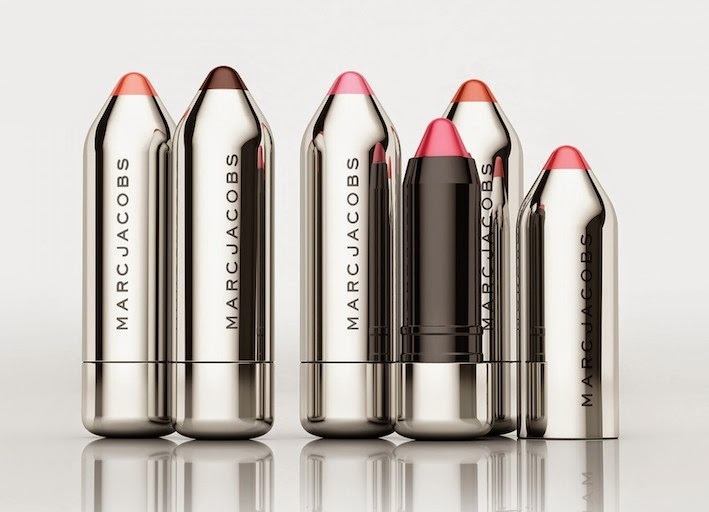 These lipsticks come in 9 different shades with fun names like Pop, Heart Breaker, Pow and Wham. Dior Addict lipsticks retail for $33 and these are $28, just to give you an idea of the cost comparison. This packaging is amazing!! Want! Want! Want!